This year we are celebrating our 50th Anniversary, to do this we are running special 50th Anniversary events each month in 2014 alongside our normal events programme. The events are based on themes which represent our core values, and which we continue to champion. 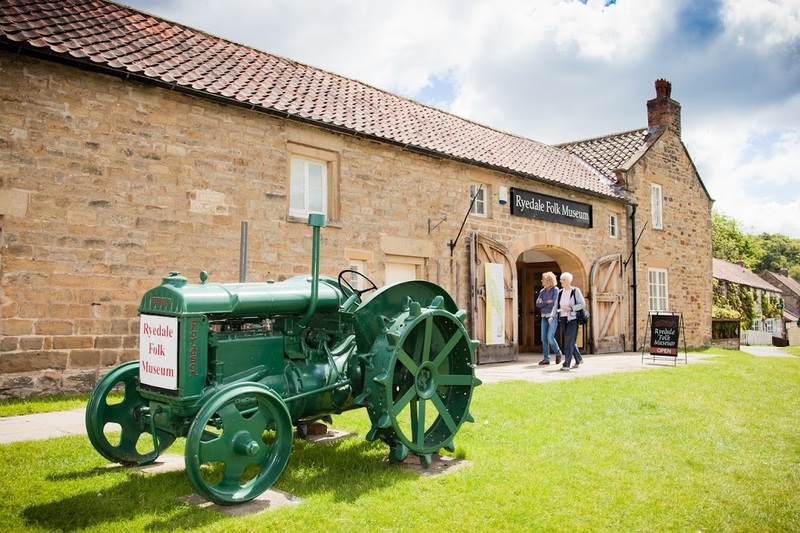 Ryedale Folk Museum was created by local people out of a passion for their heritage and we have and always will be committed to being a part of the community we inhabit. The Museum began when Wilfred Crosland and his sisters occupied the house and barn that now form the entrance to the Museum. His many interests included collecting old farm implements and craft tools, which he stored and displayed in the barn. After WWII, as Wilfred’s interest became ever more widely known, local people gave more objects; eventually whole buildings came along. Local, Bert Frank, collaborated with practical help and advice, and became the first full-time curator when the Museum officially opened in 1964. It was Mr Frank’s enthusiasm and work which created the Museum’s present shape and character. He was presented with an MBE in recognition of these achievements. Our site and collection grew and we now welcome around 35,000 visitors a year to a collection of 50,000 objects displayed in over 20 buildings. Our local communities are at the core of everything that we do here at Ryedale Folk Museum. We often work with different community groups, but we are always busy investigating new opportunities and creating new links. To thank our community for their continued support we are giving free entry to Ryedale residents on this day. Please check the events calendar for postcodes that qualify, all you need to do is bring a proof of address. We would like to celebrate the special character that volunteers have brought to the museum. Over 100 volunteers contribute to the museum and generously give their time, expertise and enthusiasm across all areas of the Museum’s operations. We were set up by volunteers and without their continued support we simply wouldn’t exist. We will have Mayday celebrations including, maypole dancing, and crafts for people to enjoy. Alongside this, different voluntary organisations will be invited to display and celebrate their volunteers and the work they do. We hope the event will create a wider network between volunteers and voluntary organisations and provide an opportunity for people who are interested in volunteering to get an idea of what opportunities there are in the area. We would not be here today if it wasn’t for the work of three particularly inspiring men; Wilfred Crosland, Bertram Frank and Raymond Hayes. All three lived in the village of Hutton-le-Hole, the museum’s picturesque location, and rather that just despairing at the continued loss of buildings, objects and traditions from across the Ryedale region, they decided to actually do something about it! Even though they are no longer with us, the years and hard work they put into the foundations of our museum could not go unrecognized. As a celebration of our founding fathers we plan to hold our annual popular Wonders of Wood event, but with a little extra. We will have information around the museum focussing on each of the founding fathers, who they were, what they were about and their role within the museums story – Connecting people to the museum’s origins through personal stories. As part of this ‘Fathers Day’ weekend we will be providing a discount on family tickets. The very first objects we owned were based around traditional methods of working, such as crafts, to preserve these for the future. We at the museum have always been strong believers in ‘getting hands on’ not only with school group activities but with craft demonstrations being held regularly on site. Our traditional Crafts Weekend is a celebration of all these crafts. We hope to have most craft collections within the museum represented with demonstrations from cooking and lace making to dry stone walling and clog making. To celebrate our first summer in August 1964, we wanted to take you back to the swinging 60’s. When we opened, times and culture were very different; and the museum also used to hold regular scarecrow competitions and displays throughout the museum site. This event is to celebrate the very beginning in the 60’s. We want to celebrate everything that happened in the 60’s from the music and fashion to the first man on the moon and winning the world cup! Discover how much transport has changed over the years. We really want people to get involved with these events and take part! 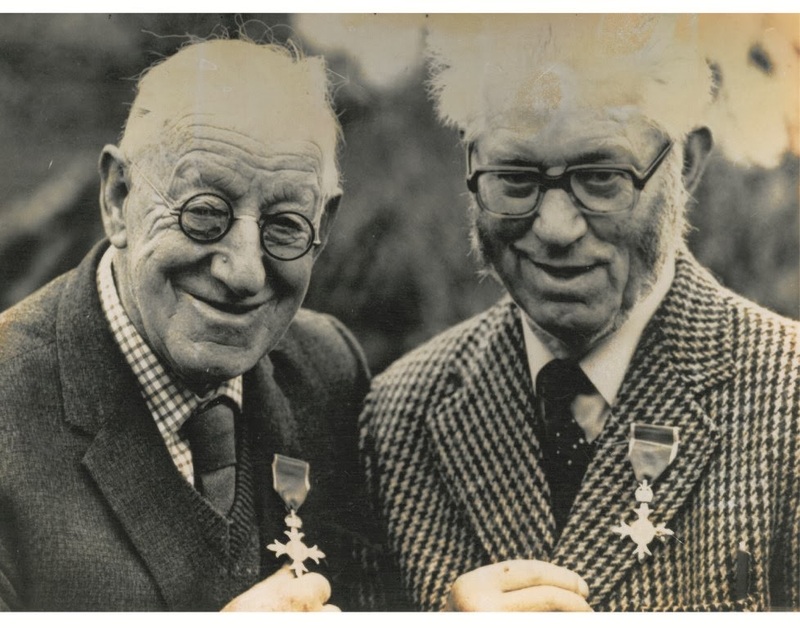 We first opened in 1964 and have a long tradition of rescuing and preserving Ryedale's heritage but we would not be here today if it wasn't for the work of three particularly inspiring men; Wilfred Crosland, Bertram Frank and Raymond Hayes. 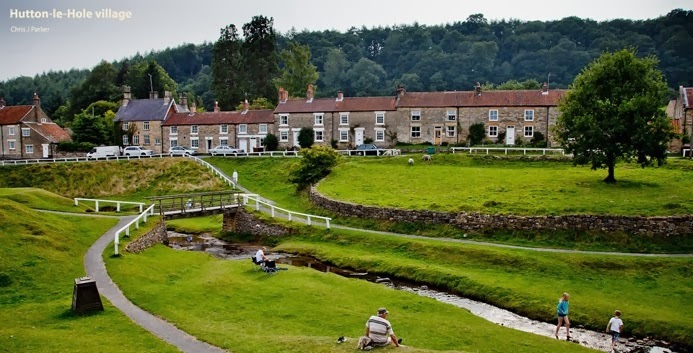 All three lived in the village of Hutton-le-Hole, the museum's picturesque location, and rather that just despairing at the continued loss of buildings, objects and traditions from across the Ryedale region, they decided to actually do something about it! Wilfred lived in the cottage that now forms the museum's main office and gift shop. He was highly regarded as a local historian and antiquary, fathering the idea of a Ryedale museum in Hutton-le-Hole. It was after his death in 1961 that his sisters, Helen and Minnie, asked Bert Frank to take over his museum room. Though first developing a small museum of his own in nearby Lastingham, Bert was thrilled to move to the larger room in Hutton-le-Hole and to have the outside space to rescue and repair dilapidated buildings. It says much for Bert's qualities and organisation that within just a few years the museum was thriving and the first of the rescued buildings had been reconstructed by his gang of volunteers. Raymond spent most of his life in Hutton-le-Hole, working out of his father’s old photographic studio, being the village postman and turning his hand to archaeology. It was he that approached Bert on behalf of the Crosland sisters after Wilfred’s death and he remained a deeply involved supporter of the museum and its work throughout the rest of his life. Without Wilfred, Bert and Raymond actively preserving Ryedale’s heritage by collecting everyday items of interest, many of the objects and buildings you see today would not have survived. It was their enthusiasm, spirit and work which created the museum’s present shape and character and we continue to follow this practice today.